Our trunk protection tray it is made to perfectly fit the cargo area of your car, offers great protection against dirt, scratches and spills and can be easily removed for cleaning. Designed with raised sides to help ensure that liquid spills can be contained within the tray. It's made of thick and flexible material. Protects your cargo floor from stains and all types of damages. Waterproof material allows you transporting wet and dirty items such as umbrellas, outdoor clothing, sports equipment and wetsuits. Each tray is modeled to perfectly fit the boot of your car. 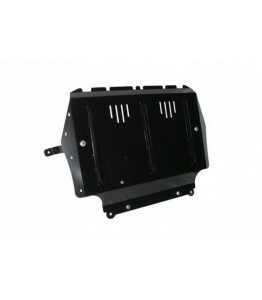 This is designed to maximise protection of your vehicle’s interior and helps keep your cargo area in great condition. The design of materials creates a slip resistant surface that allow the safe transport of luggage without moving. It is resistant to impact, unbreakable and odorless. It is easy to maintain and can be easily removed for cleaning.